Every so often, a trumpeter comes along who redraws the instrument's role within jazz: Louis Armstrong, Miles Davis, Dizzy Gillespie, Clifford Brown, Chet Baker, Wynton Marsalis, Freddie Hubbard, etc. Ambrose Akinmusire has the potential to join that crowd. He's not quite there yet, but When the Heart Emerges Glistening, the Blue Note debut from the young Californian, serves notice that he is one to watch. The winner of the 2007 Thelonious Monk International Jazz Competition, and still just 28 when this album was released, Akinmusire has, since his indie label debut three years prior, cultivated a voice on the instrument that draws from much that preceded him but points squarely ahead. Working with pianist Gerald Clayton, tenor saxophonist Walter Smith III, bassist Harish Raghavan, and drummer Justin Brown, with co-producer Jason Moran joining on piano on two tracks, Akinmusire surveys post-bop, ballads, free jazz, and funk with equal enthusiasm, mashing them up seamlessly and presenting himself as a bold leader and a sympathetic bandmember. On "Tear Stained Suicide Manifesto," the album's penultimate track and one of the two featuring Moran, Akinmusire eases his way in, sits out a while to listen in as his accompanists explore the song's open spaces, then returns fired up for the closing crescendos. "Confessions to My Unborn Daughter," the opening track, begins with Akinmusire stating his case unaccompanied, ritually deconstructs and reroutes scattershot, and finally cools down slowly, the trumpeter taking responsibility for re-piecing it sensibly before it fades away. "My Names Is Oscar" launches as a furious vehicle for Brown, surprises with a spoken word interlude -- the tale of a young black Oakland man shot down by a city transit cop – then gives it back to the drummer, who unleashes a barrage of sticksmanship; never is a trumpet heard. Akinmusire isn't about brash attitude, though, he brings a soft touch to "Henya" and the standard "What's New," and even as he reaches for the outer edges, which he so often does, he displays a tenderness alongside his bravado. When the Heart Emerges is a breakthrough jazz album that reminds us that in this music, listening closely is of equal importance to speaking out. Akinmusire excels at both. 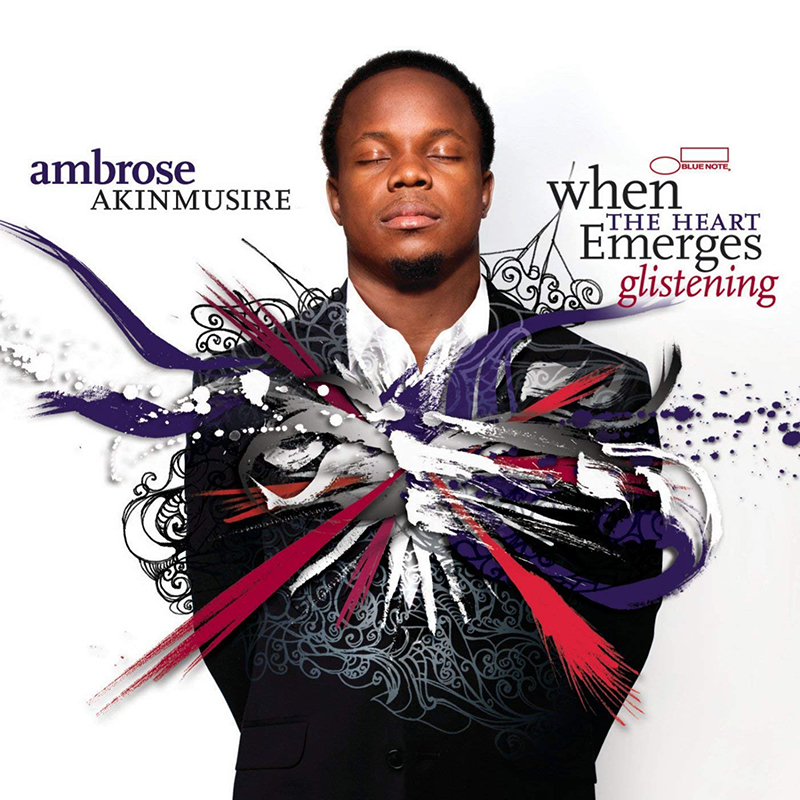 ABOVE: AMbrose talks about his origins as a jazz musician, his influences, his band and his future projects.